out of it are the issues of life. "Repent ye: for the kingdom of heaven is at hand." "Sirs, what must I do to be saved? and thou shalt be saved, and thy house." day-to-day messages for 365 days on a daily basis, as originally planned. It is my pleasure if even one of these articles would serve you. will lose everything. In art, the way of life of the person is reflected. pure sound is born out of pure heart. You can train your memory better if you practice "remembering (recalling)"
a picture from your memory is an easy and very effective way of training. 12/ 17　To be saved ? Creative art is my life work. 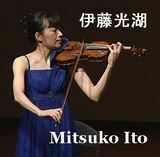 Copyright © Pursuit of True Art　真の芸術の追求　～ Mitsuko Ito Official Blog　伊藤光湖公式ブログ ～　.